Have you ever skated on ice? Even if you have not, check out Dancing on Ice Slot at Wicked Jackpots to get a better idea! It is an innovation of Gaming Realms, consisting of 5 reels and 20 paylines. The game is all about ice skating and dance moves. It also reminds of winter sports like figure skating. Get ready to dance like a star on this beautifully crafted game, set against a sparkling background. 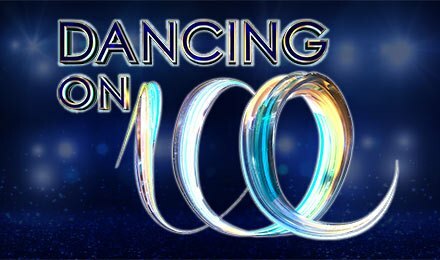 On its reels, you can find symbols like the Dancing on Ice Logo, Two Silhouetted Dance Moves and Ice Skates, as well as A, K, Q, J and 10. The riskier your dance moves, the higher the rewards! Enjoy it on a computer or mobile phone at Wicked Jackpots. While dancing to the catchy beats on Dancing on Ice Slot, be ready for an equally exciting gameplay! Start by picking a stake value on the Stake field. Press the Spin button to launch the game. When 3 or more similar symbols show up on a win line, a payout is awarded. Plus, the Auto Play feature is at your disposal, so you can enjoy several automatic spins. Amount of Paylines Selection: The 20 lines are all fixed during the game. Coin Values: Select a bet amount ranging between £0.20 and £50.00. On all spins during the free rounds, a guaranteed win is generated. On Dancing on Ice Slot, the choice is yours! Either select more spins and less multipliers or higher multiplier values but with less spins. Decide which bonus provides you with the best value for money. Thus, you can expect a maximum prize of 1000x your stake! Don’t miss the Wild icons on Dancing on Ice Slot! These can take the place of any symbol in winning combinations, to the exception of Bonus. Plus, any line win is doubled. When 5 wilds land on a payline, you can trigger up to 1000x your line bet. But you can also aim for bigger pays, thanks to the doubling wild feature which doubles your prize. Obtain 4 red dancers or game logos along with a Wild to earn the top fixed jackpot! Feel like an ice skating star as you take delight in Dancing on Ice Slot at Wicked Jackpots. Be ready for lots of entertainment!